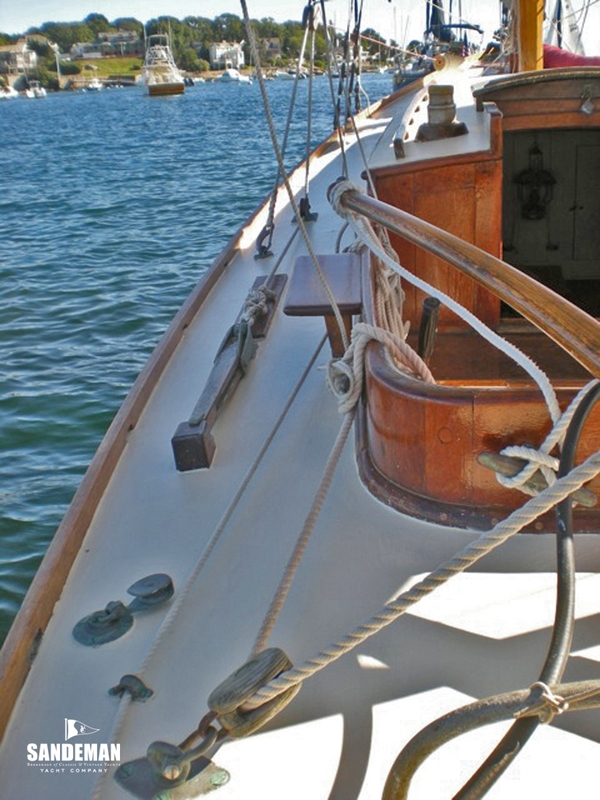 This yacht’s flowing lines, strong sheer and elegant counter are typical of her designer Albert Strange. 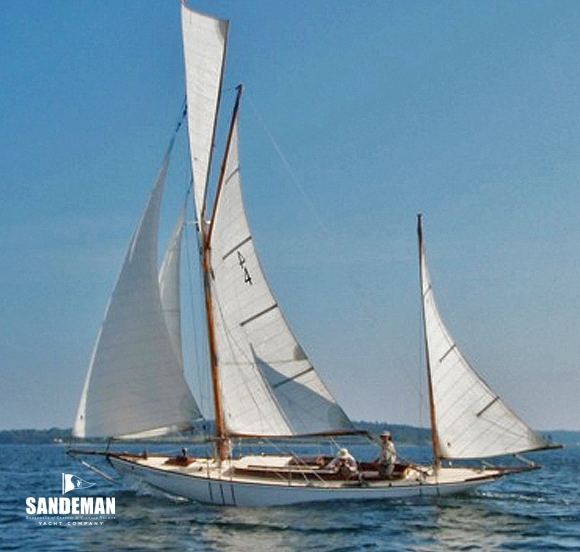 As a well known artist he had transformed his skills into designing small yachts at a time when there were a lot of large ones - and he was demonstrably capable of converting an excellent sense of shape and form into really practical boats. 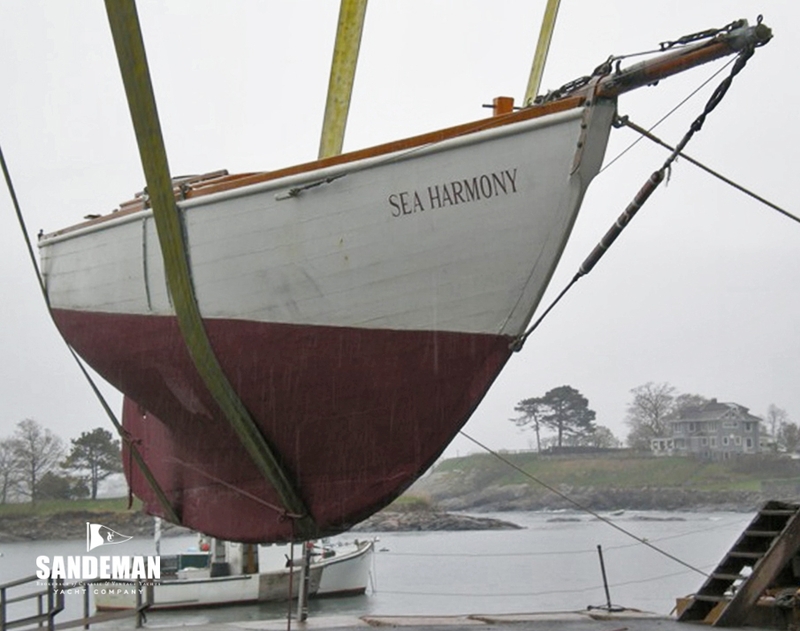 SEA HARMONY indeed – need we say more ? 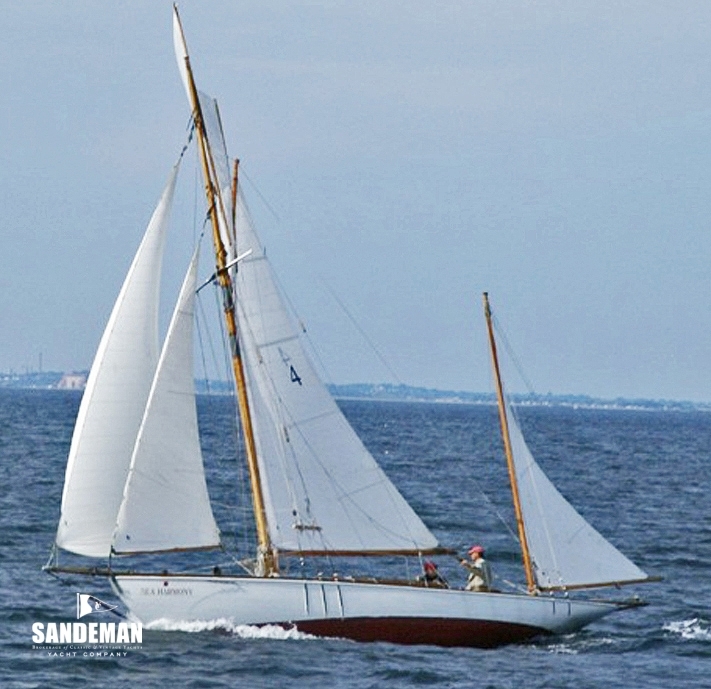 In 1917 the Suffling Brothers HJ and NR of Great Yarmouth, asked Albert Strange to work up the design of a small cruising yawl. 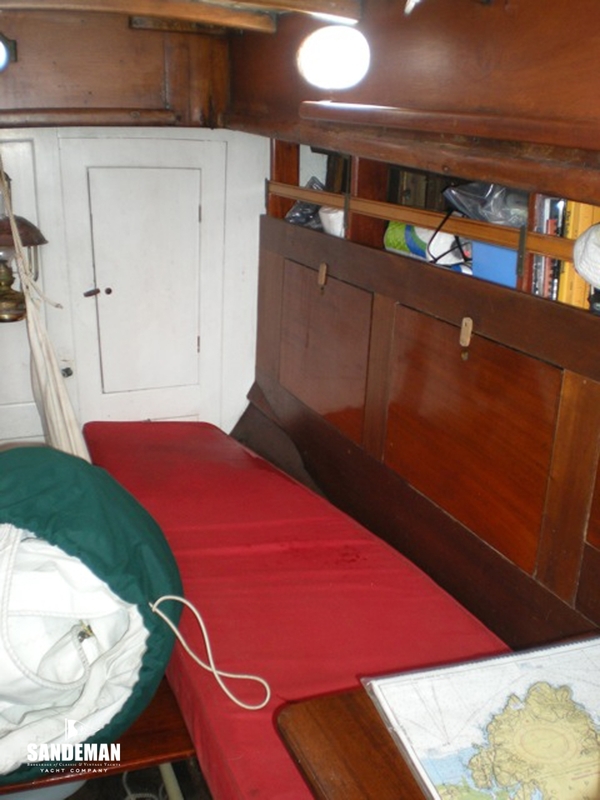 Before his death that year Strange had drawn the lines and sail plan for the 29 ft VENTURE, which was built by A. 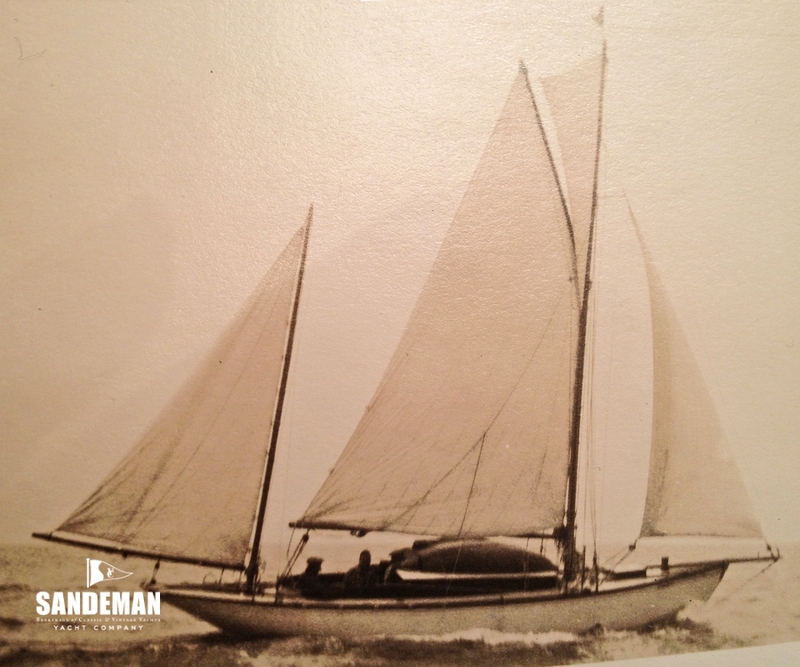 Wooden at Oulton Broad in 1920. 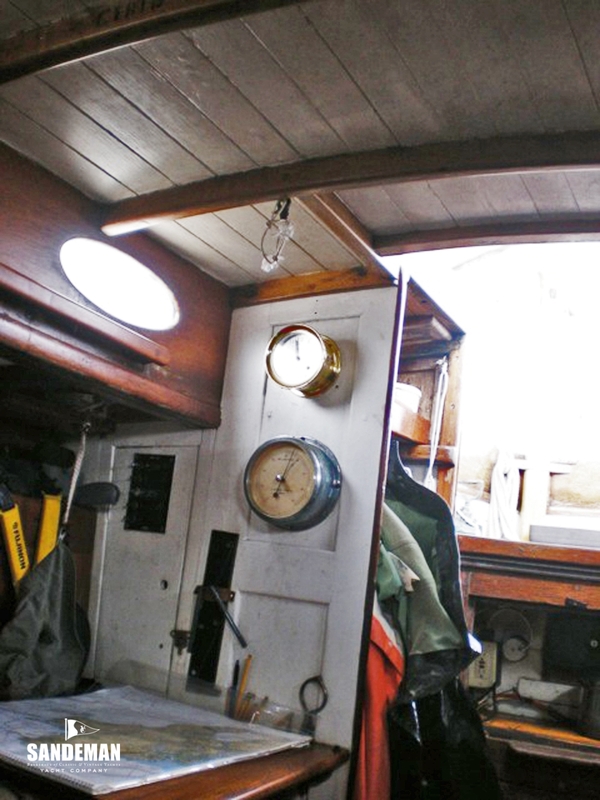 The next year they had Ernest Woods at Cantley expand the Venture lines and build CHARM 33 ft. NR Suffling wrote up their first cruise in CHARM for Yachting Monthly. 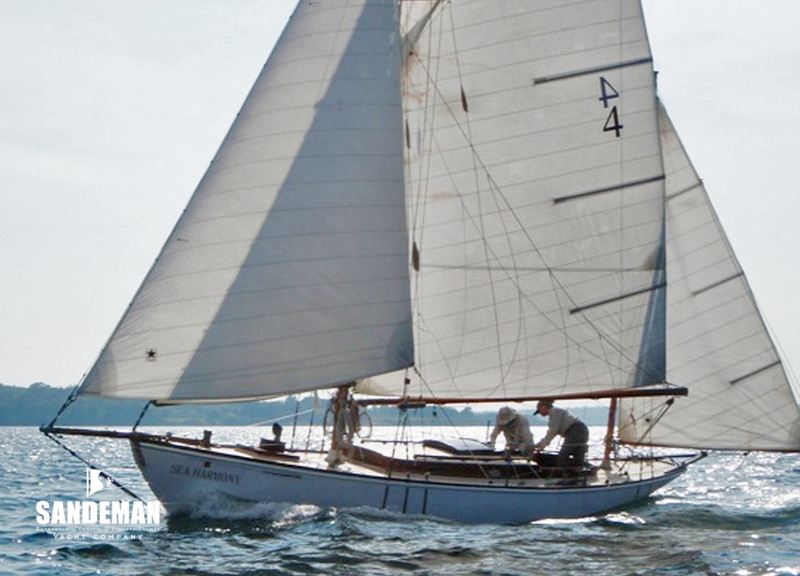 In 1925 Mr Woods, still at Cantley, built an even larger CHARM II at 40 ft. 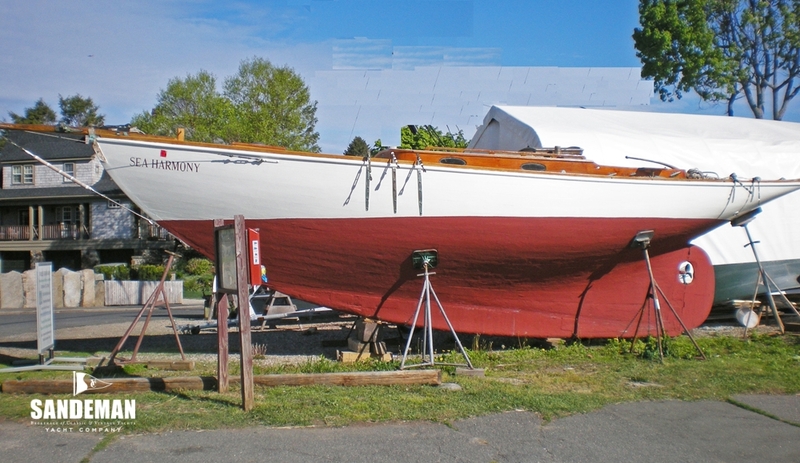 In 1937, NA Suffling, son of one of the brothers, had Ernest Woods now at Horning build SEA HARMONY, going back to 33 ft. 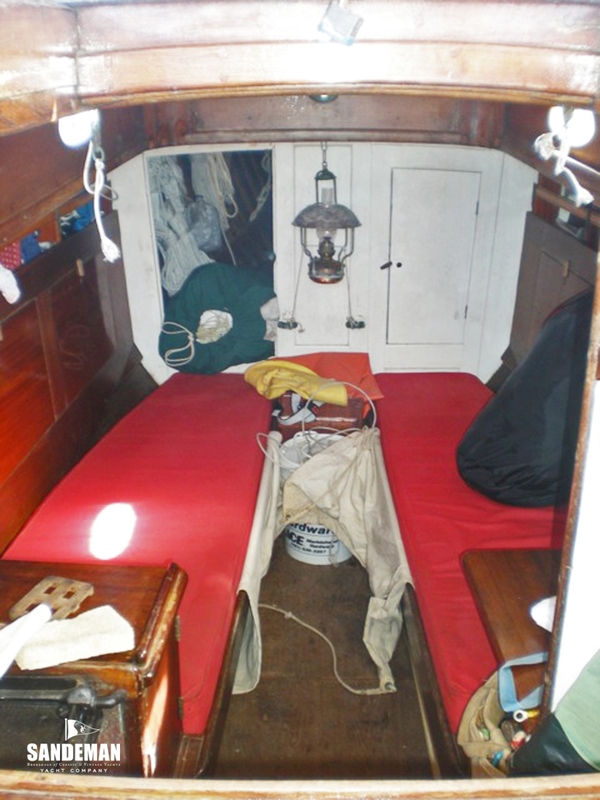 While the Sufflings owned these boats they sailed out of Great Yarmouth, Norfolk. 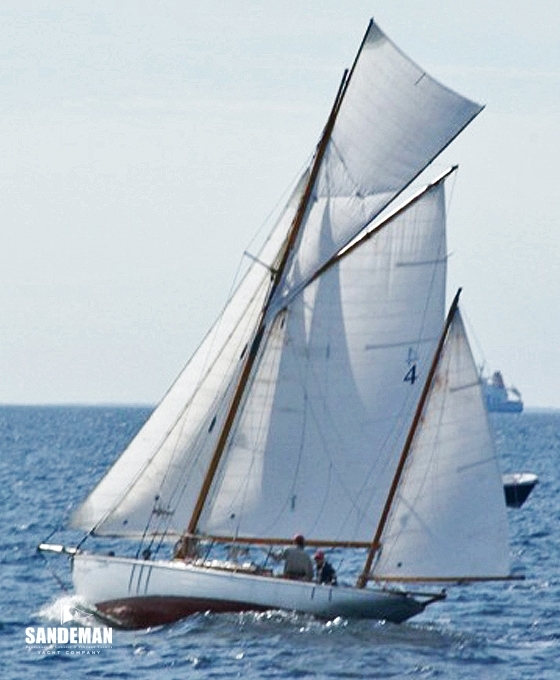 Following SEA HARMONY’s sale by N A Suffling’s widow, she was kept at Chichester and cruised by a couple holidaying, mostly on the French coast until 1974. 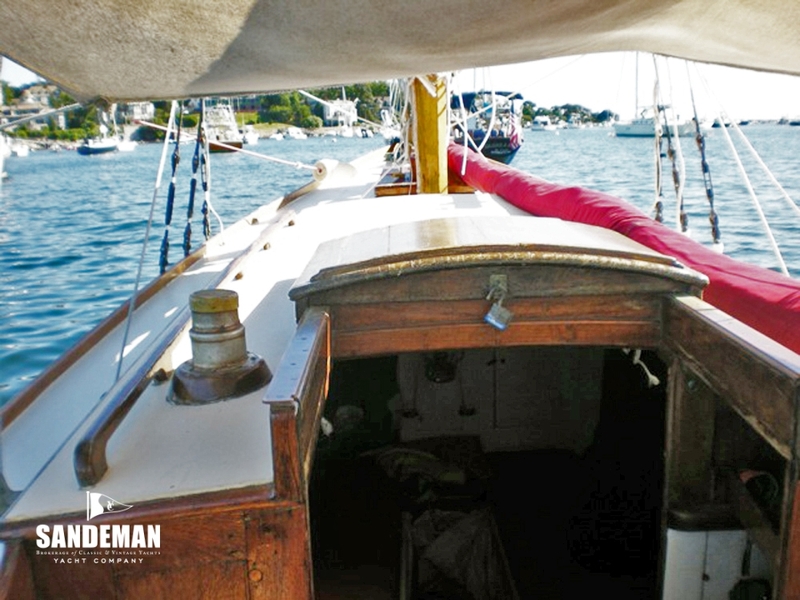 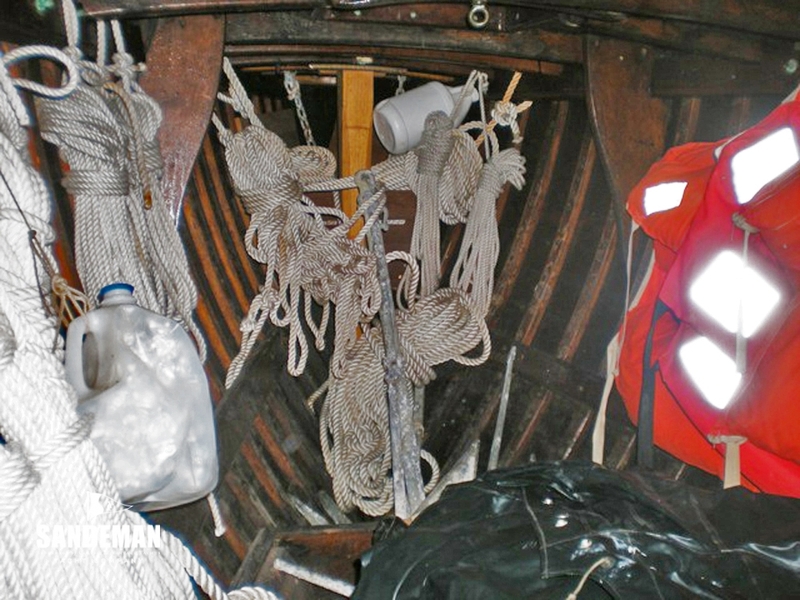 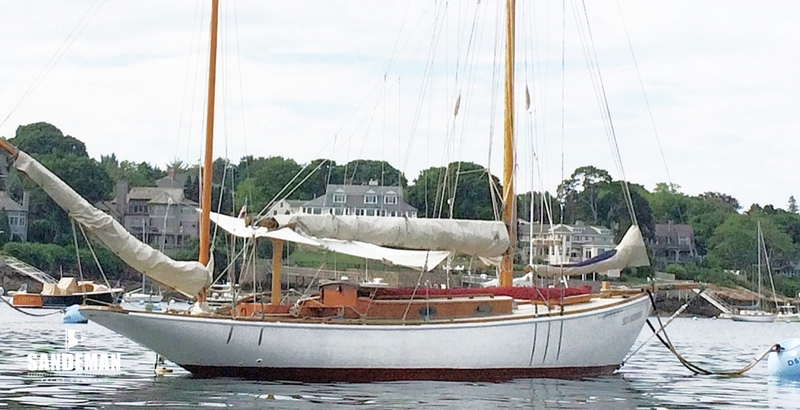 In 1974 she was bought by two young Americans who renewed all her rigging to cross the Atlantic the following Spring with another brother to make a crew of 3. 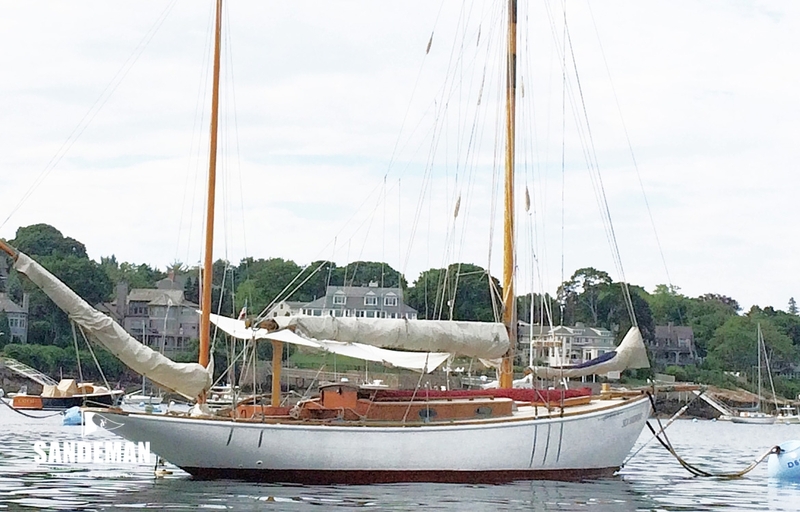 After cruising the Caribbean and then the US East Coast, she was sold at Boston and for the next ten years sailed out of Maine, cruising as far south as Florida. 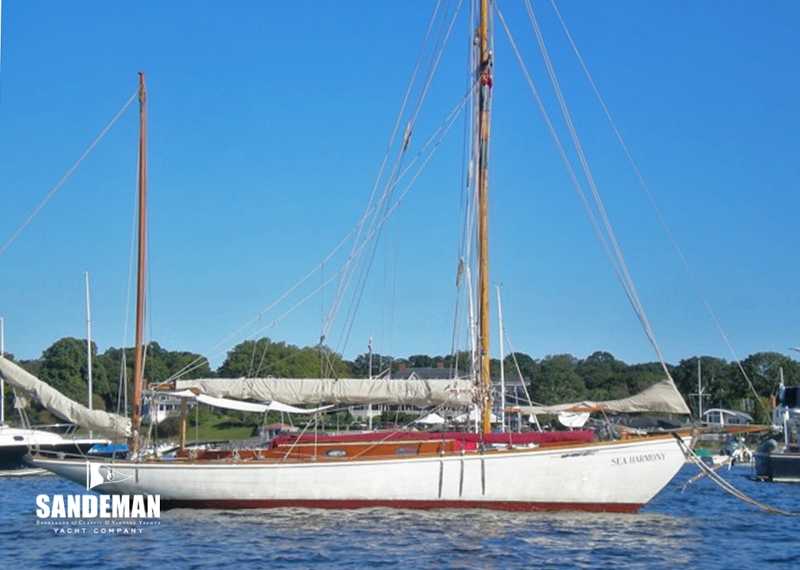 Sold to a couple who kept her at Newport, RI, she was then cruised to the Bahamas before being sold again and going into a short period of relative inactivity, though generally kept wet, not always rigged and seldom sailed. 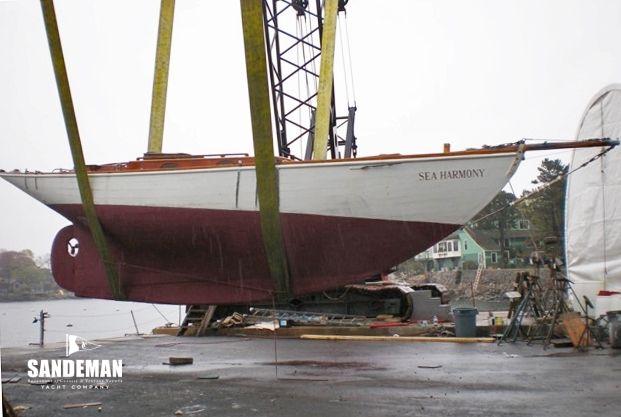 The current owner having just sold his previous boat bought SEA HARMONY in 1999, as soon as he became aware of her - on a mooring in Salem Harbour looking forlorn but with a For Sale sign. 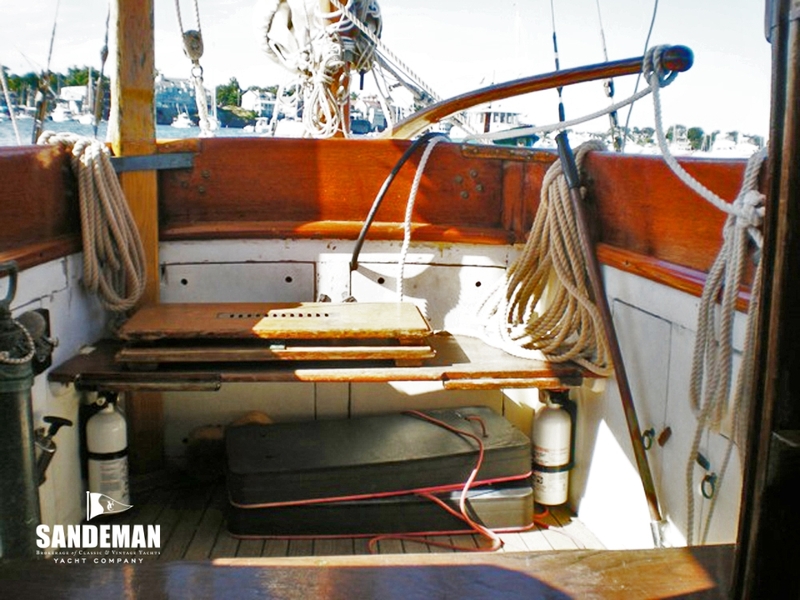 She took some cleaning up, but her excellent design, construction and materials were most evident and have proven themselves since. 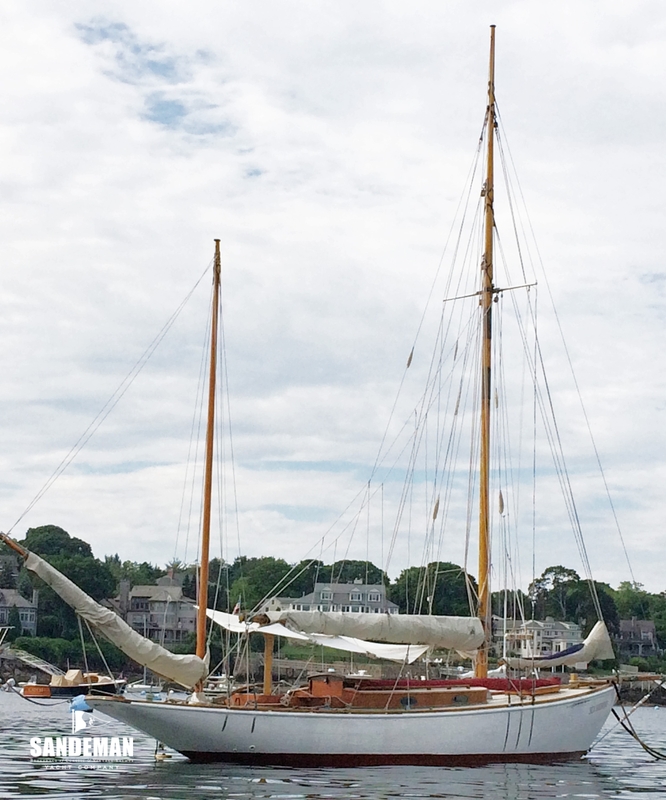 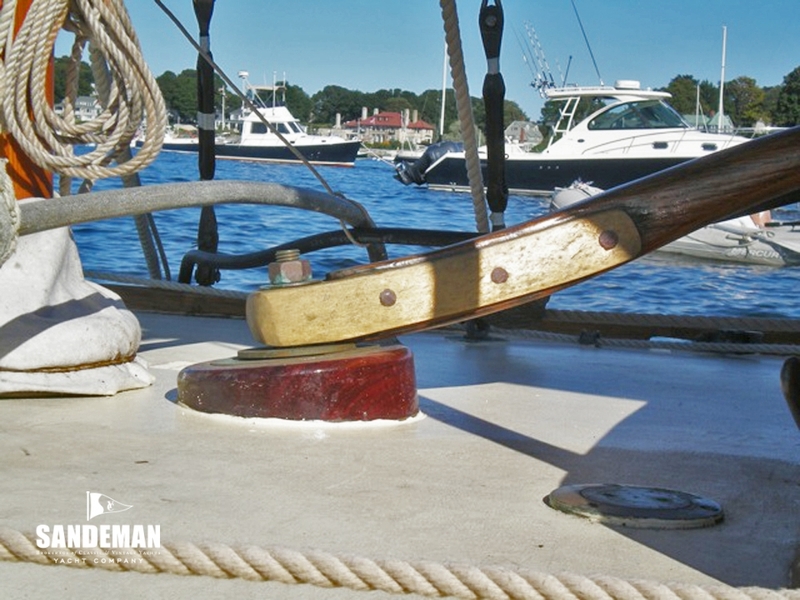 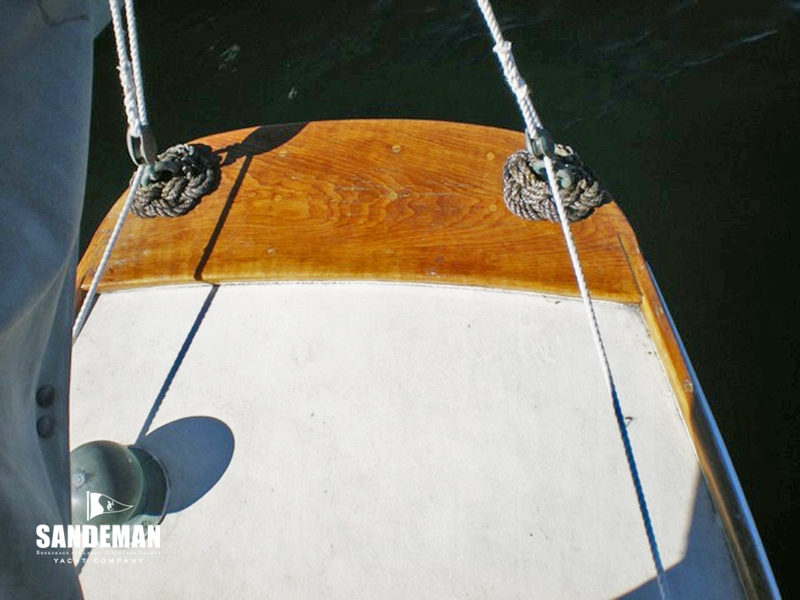 He has cruised her from Long Island Sound to Maine, keeping her in Marblehead. 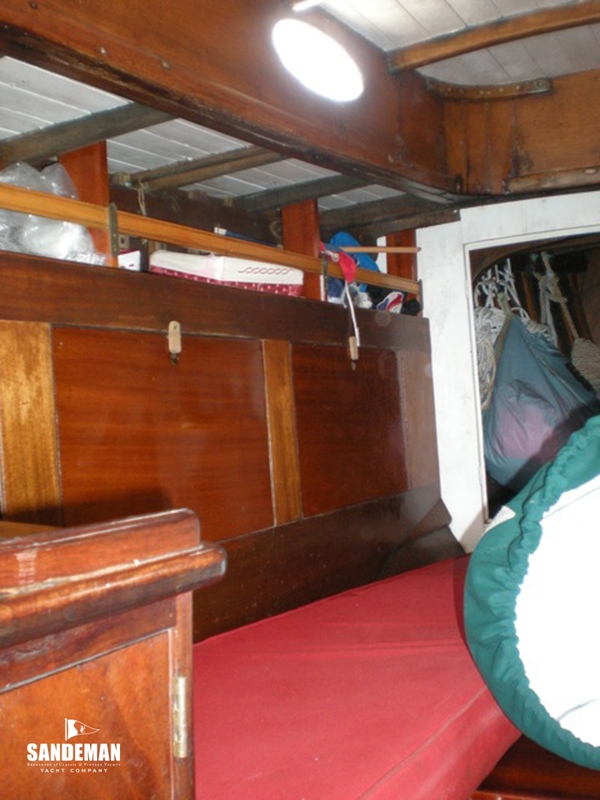 Repairs have been made as called for in survey including at least 6 planks renewed as well as engine replacement in 2005 and deck canvas with new toe rail, Sampson post and trim in 2011.